When Cyril, Anthea, Robert and Jane find their old friend the Psammead in a pet shop in London, they have no idea that they are about to embark on their greatest escapade yet - chasing a magical Egyptian amulet that could grant them their hearts’ desires! Once again, Ella has worked her own magic on this, the third thrilling E. Nesbit title she has illustrated for Alma Books, capturing beautifully the mysteries of Ancient Egypt in a bold cover bursting with wonder and intrigue and a series of adorable black and white vignettes that beautifully encapsulate the mood of each chapter. You’d have to travel a ‘pharaoh’ way to find a more exhilarating read to kick off the new year! 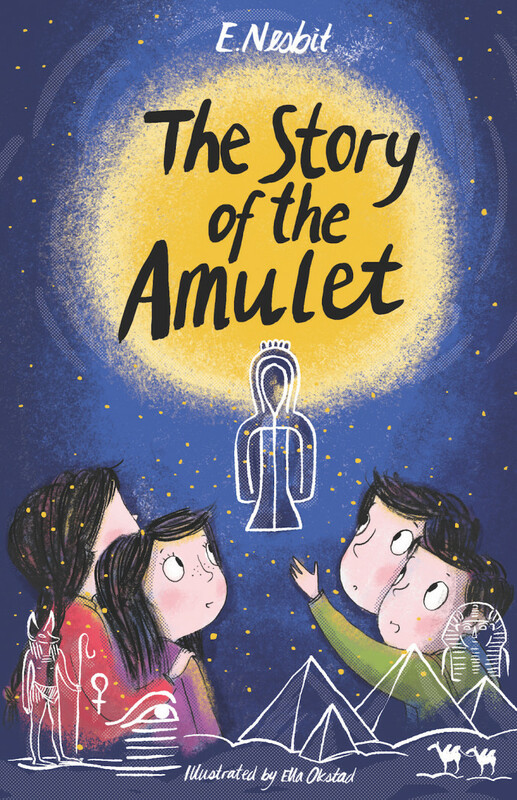 ‘The Story of the Amulet’ is out now! Previous Ella's Uplifting Unicorn Undertaking!